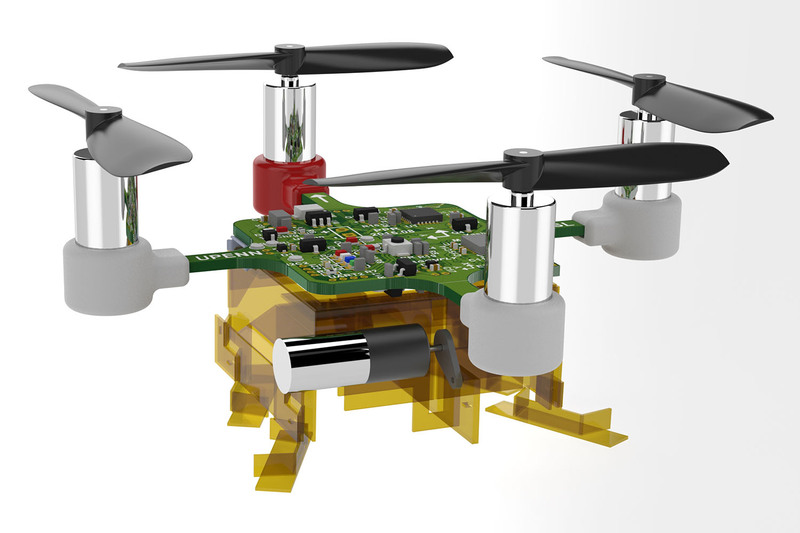 The agility and ease of control make a quadrotor aircraft an attractive platform for studying swarm behavior, modeling, and control. The energetics of sustained flight for small aircraft, however, limit typical applications to only a few minutes. Adding payloads – and the mechanisms used to manipulate them – reduces this flight time even further. To solve this problem, we envisioned, designed and fabricated a novel robot platform having three main capabilities: walking, grasping, and flight. 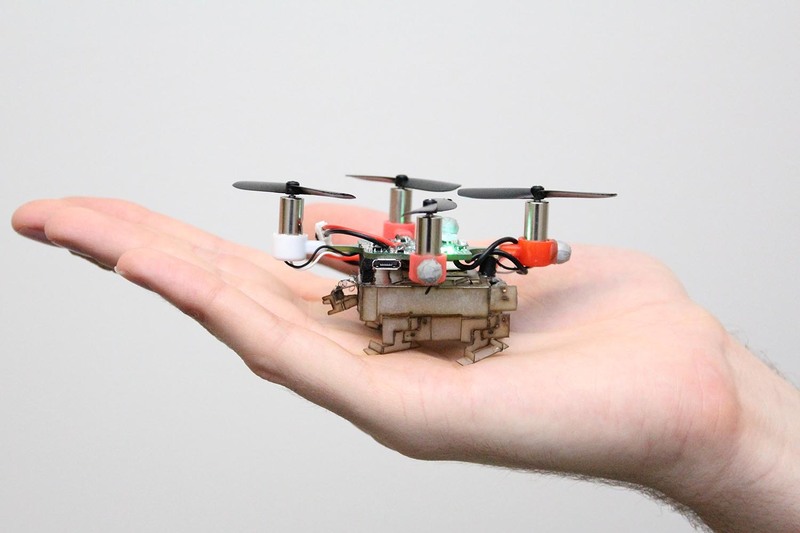 This new robotic platform merges one of the world’s smallest quadrotor aircraft with a lightweight, single-degree-of-freedom walking mechanism and an SMA-actuated gripper to enable all three functions in a 30g package. 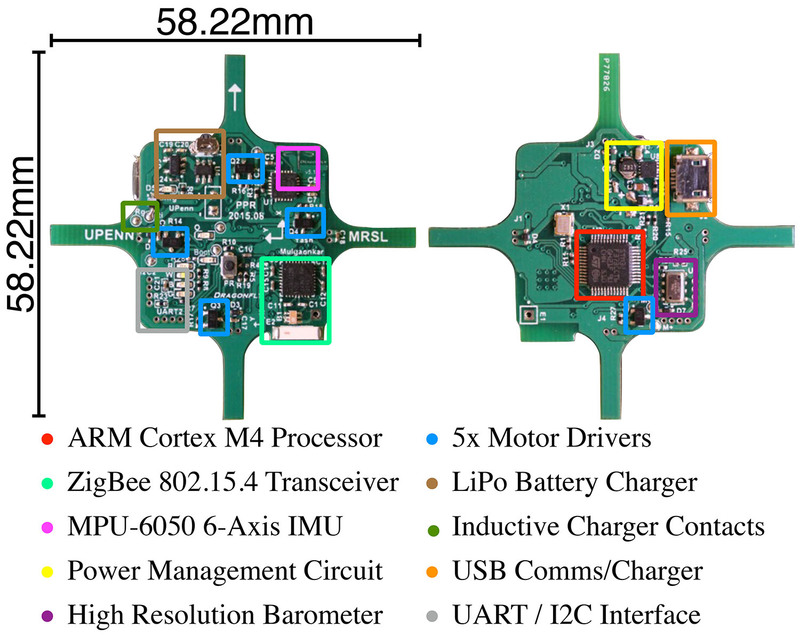 The resulting Picobug has increased mission life and capabilities through the combination of the functionalities of legged and aerial robots.